After five films worth of dizzying action, incredible stunts, and more double-crosses than a British bakery, you’d figure that the Mission: Impossible franchise would run out of steam. Yet somehow, its latest entry, Mission: Impossible – Fallout, is just as exciting, fast-paced, and – most importantly – creative as ever. 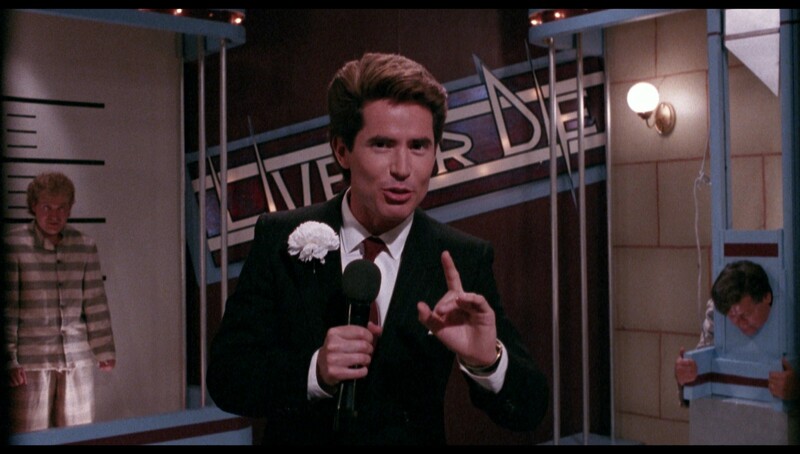 In fact, one could make the argument that Fallout is Mission: Impossible‘s best outing yet. No doubt it’s among the best, due in large part to the dedication of its star, Tom Cruise. 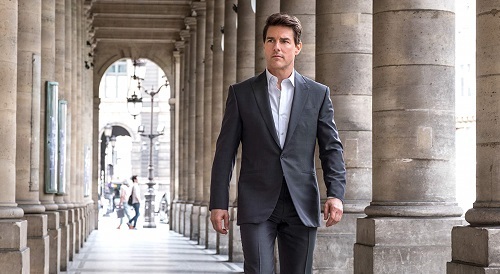 Once again, Cruise takes on the role of IMF agent Ethan Hunt, who once again is trying to stop a plot involving nuclear weapons and criminal organizations. However, unlike past Mission: Impossible films, Fallout picks up the story of Rogue Nation, its predecessor. While all of the MI films have through lines and largely the same major cast – Ving Rhames and Simon Pegg are back as Luther and Benji, respectively – the stories are all fairly different. But for Fallout, director Christopher McQuarrie gives the film stakes by building off the events of Rogue Nation. That film’s villain, Solomon Lane (Sean Harris), is completely reinvented here as an idealistic captured anarchist that is hell-bent on getting revenge against Hunt. There is always a fun cat and mouse theme in the Mission: Impossible films, but usually the villains pale in comparison to the pre-established character of Hunt. Here, Lane feels like a perfect foil. Even though Lane is at the center of Fallout‘s terrorist plot, there are lots of additional moving pieces at play. Rebecca Ferguson’s Ilsa Faust returns to throw a wrench into much of Ethan’s plans. 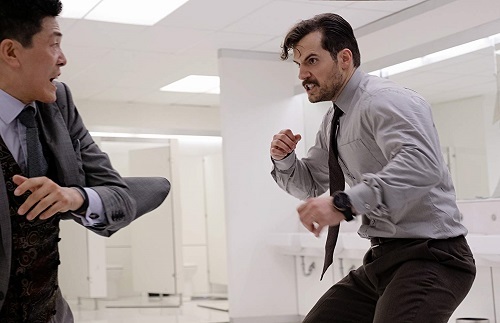 And there is CIA agent August Walker (Henry Cavill), who is sent to keep watch over the IMF team to ensure they don’t make any mistakes. 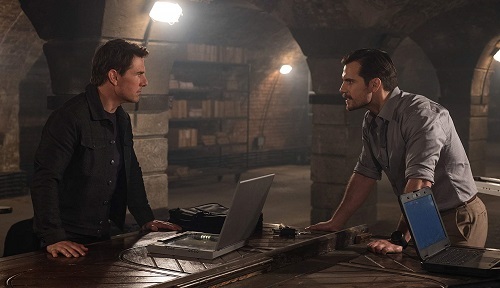 To be frank, the spy thriller elements of Mission: Impossible – Fallout are weaker than some of the more popular series entries, but how things eventually come together will surprise fans that have stuck with Mission: Impossible over the last few films. This is the one that feels the least like a one-off adventure and is more comparable to a good season of serialized TV. Make no mistake, though – Mission: Impossible – Fallout is packed with action, to the point it’s almost hard to keep up. Cruise moves from stunt to stunt at a breakneck pace, jumping out of a plane at high altitude in one scene and then sprinting through London the next. 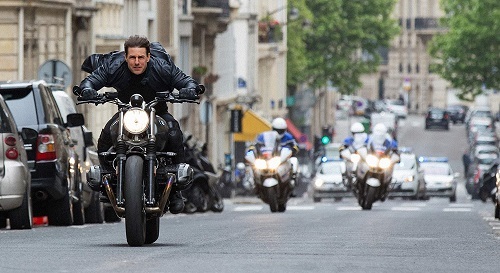 Many of the Mission: Impossible films are centered on a few key stunts that are meant to impress and excite, due in large part to Cruise’s willingness to perform them himself. But Fallout pushes that ante to a new level with a dizzying number of stunts, almost all of which feature him front and center. At 56 years old, Tom Cruise has nothing left to prove, and yet he never stops trying to top himself with these Mission: Impossible movies. One could argue that Fallout doesn’t have that one BIG stunt like Rogue Nation and Ghost Protocol do, but it more than makes up for that with a wide array of stunts. And every single one of them is well executed, competently shot and edited, and very exciting to watch on screen. Outside of a twist that is a little weak and undercooked, Mission: Impossible – Fallout is the series at its best. A ton of action and a story that has weight for these characters help keep the series’ sixth entry moving at a breakneck pace. For stunt-driven blockbusters, it’s becoming hard to top Mission: Impossible, and Fallout sets a new bar. At over two hours, Mission: Impossible – Fallout fits the buzzword for an action blockbuster. It has jaw-dropping stunts and thrilling chase scenes that are relentless. Where much of today’s summer movie fare is about CGI, effects-driven action, Mission: Impossible – Fallout tries to do as much as possible with practical stunts. More importantly, its star is willing to learn and perform these stunts so that everything feels believable. And in some cases, Cruise is actually performing the stunt. Maybe with some added FX embellishments or safety equipment, but his dedication makes a huge difference. But most of all, Mission: Impossible – Fallout is just a fun ride with a lot of creative action.